A New Mexico man, Damon Perry explained to investigators that he had been watching TV show The Walking Dead and saw his friend change into a zombie and then beat him to death. The 23 year old man of Prewitt, New Mexico, is charged with murder of Christopher Paquin, also 23, by kicking, punching stabbing him with sharp objects as well as bludgeoning him with a guitar and a microwave oven. 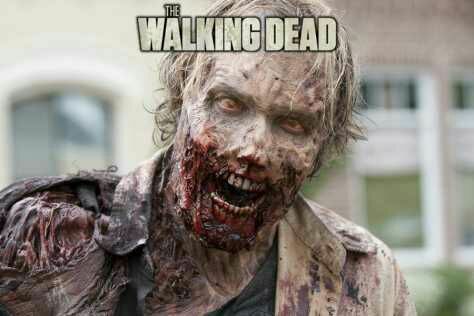 The two men had indulged in a binge watching of several episodes of the popular AMC show, which revolves around an zombie apocalypse, at an apartment in the small town of Grants, about 80 miles west of Albuquerque. Police were called to the apartment following reports of an intoxicated man wielding a knife in hot pursuit of a woman! Luckily for the woman, two maintenance men had Perry firmly pinned to the ground and after a search the police discovered the body of Paquin, who was pronounced dead by paramedics attending the scene. Perry admitted to the police that he had consumed large quantities of alcohol and it was then that his friend changed into a zombie! Marquez later confirmed that Perry was being held at Cibola County detention centre on $800,000 cash only bond, his lawyer could not be reached for comment and the preliminary hearing in the case is set for 3rd November.